The importance of forgiving one another cannot be over-stated when dealing with relationships. If you parallel the church family and the home, the need for FORGIVENESS in both are easy to see. What is “forgiveness?” Dad had this definition, “To grant free pardon, and cease to feel resentment.” He preached this all across the brotherhood, and finally, after a lesson on “Dealing with bitterness,” a lady met him at the door and told him she disagreed with him. She and Dad sat and talked, and she explained that in her opinion his idea was over simplified… and that “ceasing to feel resentment” takes time. The healing of the heart and emotions doesn’t just happen over night (although it can). Forgiveness opens the door or begins the healing process. From that time, Dad changed his message to be more balanced. The reason for adding this to the short series on the home, is that nothing takes the place of forgiveness! A home without a forgiving spirit will not last. Too many hurts, short comings, and faults (whether innocent or on purpose) just seem to pile up in the heart. Paul says, “Love does not keep a record of wrongs…” and yet that is exactly what happens in many a heart. Finally the “pile” gets too big, the pain and emotional distress gets too hard to handle, and divorce is pursued as the only way out, and while this is not an article on the DRM question, we need to try and help before relationships in the family, and in church (divisions), get to the point of no repair. Just preaching “agin it,” doesn’t help. People need some PRACTICAL ADVISE AND HELP. Congregations need some PRACTICAL help and advice. When a family experiences divorce.. it is because the marriage has died long before. Often the result of a lack in humility and mercy. Humility asks for forgiveness (free pardon,) and mercy (not getting what you deserve) grants it. It is much like God’s grace, right? Loving your wife, and loving brethren, demand an understanding and practice of always being ready to forgive. There is something more we need to add… “put up with one another.” Fact is “you ain’t gonna change each other,” and probably “you aren’t a bargain to live with either.” Everyone has “baggage” and things which need corrected… No, you won’t change other people, at least not always, on everything. Begin with yourself. In the home or in a congregation, there are things you just need to accept, or at least give time to grow. Here is something I picked up from Dad which applies both to ALL families and congregations. 2. I ACCEPT YOU AS YOU ARE. YOU ARE FREE TO BE YOURSELF. 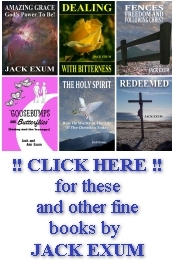 (Just think about it… when a person becomes a Christian, God has accepted him/her. The first thing we begin to do is tell them, “You gotta change this or that.” Before long they het the idea that THEY ARE NEVER GOOD ENOUGH! Growth comes more by observance than coercion. Just imagine yourself in their place. How do you react when change is being pushed on you? Not so well I imagine. ACCEPT THEM! LET THEM GROW AND CHANGE OVER TIME! TEACH AND ENCOURAGE WITH THE LOVE YOU SHOULD HAVE FOR A HUSBAND OR WIFE. 3. MAKE NO MORAL JUDGMENTS. Dad told Mom, “I will not make any moral judgments about you.” Well, he failed in this. He tried though. Making moral judgments is a touchy area. CAUTION should be used, CARE AND LOVE should be evident. Listen friends, you can correct someone on almost anything, if they are certain it is coming from a heart of love! 5. NO DIVORCE! You say, “What if I have been through divorce?” Are you a believer, washed in the blood of Jesus? “Yes.” Have you repented sincerely of the (divorce) past? “Yes.” Then begin where you are in God’s forgiveness and grace, and promise your spouse DIVORCE IS OUT OF OUR PICTURE. WE ARE IN THIS FOR LIFE!” You may say “Well I haven’t been through divorce.” Then you need to tell your spouse the same thing! NO DIVORCE! Congregations and families need to stop the sin of quitting on each other (divorce). God hates it! Instead learn how to forgive. Don’t preach against “divorce” and push for “division” in a congregation. It is hypocritical to say the least. Husbands, wives, (especially children,) congregations, need to know… WE WILL NOT HAVE ANY PART IN “QUITTING ON EACH OTHER.” Mark and avoid the one who spreads division wherever they go. Keep the unity of the Spirit. Build and encourage the home and congregation you are part of. Children that grow up without respect and understanding of parental authority, not knowing the meaning of a (definite) “yes” or “no,” are going to have problems. The family is the foundation of society, and when there are “fifty shades of grey” between right and wrong, then “right” and “wrong” seem to disappear. Children are in need of clear guidance, and a knowledge of right and wrong. This begins in the home where parents are the authority. Government is good to an extent, but never has been a good substitute for raising children. 1. Parental authority is LAW. “Law” is basically a rule of action. It must be established – accepted – administered God’s way and must never be in doubt. Parental authority is not up for auction. When a man and woman are married and have children, they are in charge. Responsible for feeding, caring, clothing, rearing, teaching, disciplining, loving, nurturing, and protecting their children. Much like the old example which Jesus used in John 10 of the shepherd caring for his sheep. Much of the “shepherd and sheep” idea can be a good illustration of parenting children. Ephesians 6.1-3 “Children obey your parents in the Lord: for this is right. Honor your father and mother which is the first commandment with promise; That it may be well with you, and you may live long on the earth.” Point: IT IS WRONG FOR A CHILD TO DISOBEY AND DISHONOR PARENTS, AND WRONG FOR PARENTS TO ALLOW CHILDREN TO DO THIS. Hebrews 5.8-9 “Though he were a Son, yet learned he obedience by things which he suffered; And being made perfect , he became the author of eternal salvation unto all them that obey him.” Point: LEARNING OBEDIENCE IS NOT EASY, BUT LEADS TO PERFECTION (MATURITY), ITS UP TO PARENTS TO TEACH. I Samuel 3.13 “For I told him that I would judge his house forever, for the iniquity which he knows, because his sons made themselves vile and he restrains them not.” Point: PARENTS ARE RESPONSIBLE FOR RAISING THEIR CHILDREN RIGHT. WHEN THEIR CHILDREN GO THE WAY ELI’S SONS DID, THEY MUST ACT TO RESTRAIN (STOP-DISCIPLINE) THEM. 3. LAW does several things, it provides, prohibits, protects, and promises. Law is a rule of action, the basis of habits formed, the foundation of independence earned and learned, the father of understanding and provider of liberty. For example: Mom and Dad were our “supreme court,” what they said was law for us. Dad would say, “Jack, play here (and then he would lay the boundaries.) As long as I played within the boundaries provided, I was okay. I was free, to play to run, to hide or seek, to jump and laugh… I was obeying Dad’s law. I felt good about that. Its when I got too close, or crossed the line, that something happened. What happened? I was guilty, dirty, wrong INSIDE. Whether or not I was caught, I WAS WRONG. Similar to Adam and Eve when they disobeyed, “I was afraid… and I hid myself.” The innocence, the communion, the freedom and feeling of “rightness” was gone! What if Dad had (as he did many times) caught me. Instead of getting a whipping or whatever the discipline required, if he had said, “Aw, it’s okay son… nobody going to whip you. nobody gonna touch you. Don’t worry son, I’ll protect you from everyone and everything.” As Dad said in his lesson, “You may as well give him a gun. He is not going to respect any authority.” Authority respected begins in the home, not in church or school! Surrendering parental authority to church or school is WRONG. Make up your mind… one way or the other! CONSISTENCY is a jewel in the crown of parents. It gives meaning and force to ones words when raising children. Just a “look” from mom was often enough to stop us before “crossing the line.” We knew Mom and Dad said what they meant, and meant what they said. Parenting requires “perseverance,” and “stick-toit-tiveness.” It is the hardest job, and can yield the most rewards. 1.) Deuteronomy 6.6-7 “And these words, which I command thee this day, shall be in thine heart: 7 And thou shalt teach them diligently unto thy children, and shalt talk of them when thou sittest in thine house, and when thou walkest by the way, and when thou liest down, and when thou risest up.” There is a reason why the Lord commanded this of His people. Passing on the teachings of the Lord takes time, determination, and consistency. We have a problem doing this for ourselves much less for our kids. If we want to reap the good harvest, we have to plant the good seed (Galatians 6:7). Take the time. Make following the Lord a habit not only for yourself, but your children. 2.) Proverbs 22.6 “Train up a child in the way he should go: and when he is old, he will not depart from it.” “Well, I taught mine and they didn’t stick to it.” I will speak from experience, that even though a child may grow up and “abandon” his teachings at times, they always remember, and often come back, if you don’t give up. The door of the parents should always have a “welcome home,” mat not just for visitors, but for children. (Not to move back in.)(Smile!). Training’s success often depends on how the parent goes about the training, and the life (example) of the parent. 3.) II Timothy 1.5 ” When I call to remembrance the unfeigned faith that is in thee, which dwelt first in thy grandmother Lois, and thy mother Eunice; and I am persuaded that in thee also.” It’s hard to explain, and hard if not impossible to cover all that needs to be covered in this. However, the CONSISTENT EXAMPLE AND TEACHING of parents is the best “Bible translation” for children. 1.) Partiality is a “no-no.” Remember the struggle of Jacob with his sons. A child doesn’t like to feel he/she is being treated differently from the siblings. Bob is handicapped… has been since he was two years old. His handicap changed the dynamics of the home 100%. He went through many surgeries and rehabilitations. Casts, braces, crutches, wheel-chairs, bed-pans… but he got his share of the whippings. Mom and Dad often cried in their bedroom I was told, after these hard times. Yet the raising of children demands much of parents. 3.) A CONSISTENT HOME is orderly and runs smooth, changes come slow, there is peace, strength and endurance, patience, and it is grounded and firm. 1.) Let them be kids! 3.) Teach them simple obedience and the importance of just doing it to BE RIGHT. 5.) Bear kids burdens but not their responsibilities. 2.) Do you think this is right or wrong? 3.) What should we do about it? 4.) What could/should you have done? 5.) What will you do next time? With this article I am trying to bring some balance into the picture. “Law” is not a flexible topic… black or white, right or wrong. However to bring some balance I suggest that LAW MUST BE JUST, and CONSEQUENCES SHOULD BE CONSISTENT. The end of LAW should not be just be cold, heartless punishment for the offender. Use all the examples you want, but when you are the offender in a traffic situation, the only thing you are hoping for is MERCY. In the home situation, when the “law” is broken, there should be consequences. However, the consequences should not bring into question the love between a parent and a child, and should be considerate of circumstances, and maintain the goal of proper direction for the child, (cf. Hebrews 12.5-10). 1.) Proverbs 22.15 “Foolishness is bound in the heart of a child; but the rod of correction shall drive it far from him.” Now I’m not an expert of Jewish society or culture, but I don’t think the “rod” was used for every infraction. Godly parents have the understanding of what is the right time for the “rod.” Today we might just use a switch. We grew up with it, we didn’t die, and always knew we were loved. Some parents have no idea how to be a parent… They know the “how” of having one, but not the “how” of raising one. A few have made “parenting” suspect, and “discipline” downright scary. Spock has spooked many a parent. 2.) Proverbs 19.18 “Chasten thy son while there is hope, and let not thy soul spare for his crying.” Balance is needed in all discipline whether it is “corporal” or not. Parents need to always allow themselves time to COOL OFF! A parent who says, “Do you want a whipping? !” Never gets the answer back, “Yes Daddy, give me a whipping.” Of course they want no punishment, but sometimes, even when there are tears, the discipline is necessary, or else respect for parental authority is diminished, and important lessons are lacking in enforcement. Do it while there is time. The wife says, “Whip him!” Husband says, “You whip him, he’s six feet tall!” Train him before it’s too late! Read the above Scriptures carefully, and read with parental eyes as well as with brotherly eyes. Loving, caring for, and disciplining your child, and a brother who strays, is not too different. The source is a heart of love, the discipline is meant to bring them back to the right path, the fruit is good. 1.) Never threaten. Do what you say, or don’t say it. 2.) Keep teaching simple and clear. 5.) No embarrassment. It doesn’t help a child to embarrass them (cf. Eph. 6.1-4). 6.) Afterwards – The goal is always “afterwards,” and while children don’t recognize this… the parent most assuredly needs to have this in mind. What is your end game? What is your goal in discipline? Same when dealing with brethren who fall. What is your end game? They were stair-cased kids, just old enough to be in school. Bad boys – really not, but mischievous would be a better word for it. With both parents working, it was an open door of opportunity, and the daily ‘rap’ sheet was continually being filled with bad reports. The parents had to have some relief. Vacation time came and arrangement had to be made for someone to ‘keep the kids’. The word was out and all refused the job at any price. From the parents view, two weeks away from them was an absolute necessity. Without this ‘time of recovery’ the parents would be permanently enrolled in the “Ha-Ha Hotel”. Even professional ‘baby-sitters’ knew about the boys and were conveniently booked for the dates they needed. Taking the boys with them was out of the question. At the last resort, Grandma said, “I’ll take em!” This possibility had already been discussed and quickly dismissed. Grandpa had died in recent years, and Grandma was still living alone. The small but comfortable farm house had been her home for nearly sixty years. She was old and frail and would be no match for the challenge of two kids that were clearly out of control. She insisted and assured her son and daughter-in-law that things would be fine. After all, she had experience having raising her own family. Having no alternative they packed the bags for them and made the drive to the country. It was a beautiful old house that was nestled under three large Oaks. With thirty acres to roam the boys would know true freedom for the first time.. They had never been to Grandma’s before. This would be a real learning experience. It was a glorious day. The air was clean and crisp and the leaves had already begin to turn. The white picket fence that bordered the house was a lovely invitation to bring people in, not to keep them out. The room, the space, the open spaces was something altogether different from city life. At home it was “Stay in the yard” which meant a 50 by 200 piece of ground, hardly big enough to occupy the energies of two growing boys. The car door swung open and the kids hit the ground running, whooping and hollowing. Years of being bottled up were suddenly turned loose on the acreage that lay before them. The parents kissed their sons goodbye and left with the simple instructions, “You boys try to be good and help Grandma around the house”. As they drove away the mother said a silent prayer as the father looked at Grandma in the rear view mirror. She was holding hands with her grandsons, one on each side. Things were different at Grandma’s house. She laid down some simple rules and expected them to be followed. The meals were cooked on an old black wood burning stove, but the food was fresh and good, different from the take out food that was brought in at home. When they lied or disobeyed, Grandma always seemed to have a small switch from the peach tree handy and didn’t hesitate to use it. “Don’t do that again,” was her simple reminder. As they lay in their bed the first night the older boy said, “Grandma is strange. She seems to know everything we plan to do even before we do it”. His brother observed, “Yeah, and she’s strong”. They heard Grandma praying nightly through the paper thin walls, and one night they had to go help Grandma get up off her knees. She said it was the change in the weather that caused it. Beginning the second week, the older brother turned into a miniature Sherlock Holmes, and the younger brother had nothing but the mantle of a fat headed Watson to fall on his shoulders. As Grandma was taking her afternoon nap, ‘Sherlock’ snitched her glasses. They found they’re favorite spot in the barn, and with a bit of reverence and care, the older brother carefully removed the old beady looking pair of Grandma’s glasses. “Them’s is the answer,” he said ” I been thinking about it all night”. The younger brother looked on with special interest. “What do you mean, them’s is the answer?” he replied. 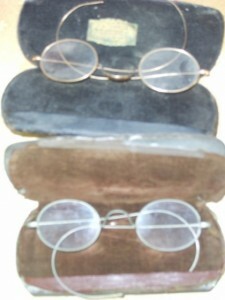 “Those ain’t nothing but a pair of old glasses”. The prodigal son in Luke 15 is a prime example of love and discipline and grace… read and learn! Writing about “the home,” is challenging. Some may say, “You don’t have the right to write on this since you’ve been through divorce!” Simply put, I disagree. That being said, I will proceed. Here are several simple points to begin with. 1. Normal children are born normal. There are exceptional children, those with deformities such as blindness, crippled, retarded and there are many more “deformities,” both mental and physical. Normal children are born normal. Suffice it to just say here, that not one is born a homosexual or a lesbian. Children are born with brains, but not with “mind.” There is a difference. 2. Children come into a home pathetic and helpless. They come with one desire, to grow, mature and fulfill a purpose. They are like soft clay… pliable, moldable, teachable, changeable, moveable. All depends on the ones entrusted with molding, teaching, changing, and moving them. 3. Early years of a child are the most important since these are the most impressionable years. By the time a child is six months old he knows (senses) a mother’s love. Sixty percent of the broad concepts of life are realized by age six. Eighty percent of one’s vocabulary is fixed by age twelve. 1. The concept (definitions) of life are TAUGHT by parents. Words spoken: Much is conveyed by how loud or soft, harsh or loving, hasty or slow, words are spoken. Fears: Often parents pass fears on to children without even realizing it or meaning to do so. Anxieties, worries, frustrations can be planted, nurtured, cultivated, encouraged, fertilized, and harvested. “You can’t!” “Look out!” “You’ll fall!” “You’ll never make it!” We threaten and bribe to get what we want from them. “If you don’t go to sleep I’ll turn out the lights in the hall!” “If you don’t do your chores, eat your food, do your homework, take a bath, clean your teeth, etc., and the treats (which we never intend on following through on) flow. Attitudes: Attitudes towards people, neighbors and friends, enemies, elders, deacons, preachers… we often teach our children and they take hold of our thoughts and make them their own. “Dirty crooks!” Trying to rob you” “Dog eat dog world” “Rat race” “All hypocrites” “They just want your money” We just don’t think of all the things we do and say which pour into the minds of children during the first six years, and wonder why they later end up the way they are. Spiritual concepts: What about God, Christ, the Holy Spirit, the Bible, church, missions and missionaries? “Hide your wallet, the missionary is in town!” What do we teach our children about these things. How many children hear parents using Jesus’ name in crude, rude, and just nasty ways? “God this!” “God that!” Enough! It is time for parents to wake up to what is happening to children. Perfect parents just don’t exist! The “Christian home” is made of human beings that struggle through life and try to do the right thing at the right time, but just don’t always do it. Many problems that come, just come and are unexpected. What are we saying in this part of this study??? Pay attention to your most important role… PARENTING. It is absolutely true, “God is no mocked; for whatever a man sows, this will he reap also” (Galatians 6.7). This was always a negative verse to me. (Sometimes it still is.) The old acronym BTDT (Been There, Done That) carries many regrets and thoughts of what I would “do over,” if the chance were given. Thoughts and actions planted result in reflective plants grown and a harvest of consequences. When children grow up with the idea that they are not amenable to Mom and Dad’s law (authority), it often results in teens and adults that see themselves as not amenable to God’s laws and man’s laws as well. The harvest is not good. Where to begin? PARENTS MUST TEACH! Their WORDS, MODEL, and TOTAL IMAGE, are completely grasped by children as they grow up and often emulated in their life. Instructions, law, direction, rules, responsibility, accountability are to be taught. Solomon wrote “The fear of the Lord is the beginning of knowledge: but fools despise wisdom and instruction. My son, hear the instruction of thy father, and forsake not the law of thy mother: For they shall be an ornament of grace unto thy head, and chains about thy neck” (Prov. 1.7-9). I grew up with the teaching of “B.H.D.” (You have to BE before you HAVE and DO.) Today this has been changed to H.B.D. (You have to HAVE before you can BE and DO.) The development of character is vital, and yet it is sorely missing today. “For I know Abraham, that he will command his children and his household after him, and they shall keep the way of the Lord to do justice and judgement” (Genesis 18.19). Growing up we didn’t have much but it was more than most. Dad worked at preaching, and Mom worked at home (a job which is unfortunately ‘put down’ by many today). We kids (there were three of us, then four, then five, then six! ), never were in need of what was important. We had .25 cents for allowances, and loved the trip to Woolworth 5 and 10 cent Stores. The table was always full of food. Even when Mom made a big pot of RUNNY mashed potatoes. Dad told us, “Eat up boys!” Okra was a now and again thing. Slimy things that they were. Dad always said, “Slide me some.” Mom served two things… TAKE IT OR LEAVE IT! WE ALWAYS KAD PLENTY, BECAUSE DAD SAID, “YOU’VE HAD PLENTY.” Things have changed now haven’t they? What is lacking is Dad’s that will guide and command in the right way, and Mom’s that will back him up, and kids that will follow. Paul says, “Children, obey your parents in the Lord: for this is right. Honor your father and mother; (which is the first commandment with promise;) That it may be well with thee, and thou mayest live long on the earth. And ye fathers, provoke not your children to wrath: but bring them up in the nurture and admonition of the Lord” (Eph. 6.1-4). “Go learn what this means,” Boys can BE without HAVING!!! (Dad often joked about his Dad having him work at home. “He only wanted us to work half a day and the other half was ours, he didn’t care which half it was either.) Learning involves guidance, teaching, rules, commands. responsibility and accountability. These don’t come easy to a child. Children are growing up in an age when “image” is “Fifty shades of Grey.” Black and white are quickly disappearing. It is politically incorrect to say things like “”Flee immorality…” “What? know ye not that your body is the temple of the Holy Ghost which is in you, which ye have of God, and ye are not your own? For ye are bought with a price: therefore glorify god in your body, and in your spirit, which are God’s” (I Cor. 6.19-20). References like Ephesians 5:21ff; Matthew 19.1-11, need to be taught in love. Mistakes have horrendous consequences. Truth is still truth, and to do otherwise is sin, and even though there is forgiveness… scars still remain. Scrambled eggs cannot be unscrambled, but must be eaten. Begin early teaching and setting the example of the right way to go. TEACHING PLUS TIME = MIND, MIND PLUS TIME = CONVICTION, CONVICTION PLUS TIME = CHARACTER, CHARACTER PLUS TIME = DESTINY. I grew up with a solid idea of who I was. I had a Father and Mother. My Dad was: 1.) A MALE. (“God create them male and female” Moses wrote in Genesis.) He had (like his Dad) a crop of hair growing on his chest. I didn’t! I wanted to be LIKE DAD. He said, “Jack, Eat your spinach!” I looked at the green stuff on my plate, and yuk! He said, “It will put HAIR on your chest.” Yummy, give me some more! He had no problem being a MALE. I wanted to grow up to be a MAN like Dad. Lovingly, people need to hear the message, HOMOSEXUALITY is wrong! Unnatural! Confusing to a child’s image (Romans 1.24-32)! Soup commercials that have two “fathers”, and one says, “I’m your father.” and the other says, “No, I’m your father,” speaks loud and clear to the mess children are in today, and should be “boycotted.” 2.) A FATHER. Someone who was the “head of the house.” The leader, the guide, the “supreme court.” My youngest brother Ed, was getting a whipping and Dad asked, “You have anything to say Ed?” Ed said, “I want to speak to the supreme court.” Dad said, “You’re speaking to it son.” Don’t get me wrong, Dad’s are not perfect. We all sin and fall short of God’s glory, Paul said. Dad’s grow with time as well, and learn from mistakes. Dad’s you may not be perfect, and you may make mistakes, but BE A DAD! 3.) A HUSBAND. This is a role which the man cannot miss. If you are married treat your wife with the love and respect she deserves. She is a partner not a slave. She is your completion not your play toy. She is yours and you are hers, (I Cor. 7.1-5). Read Ephesians 5. 22-31. Think about the comparisons made, and the love shared. BE A HUSBAND. Then there was Mom. Mom was a 1.) FEMALE. She and Dad were equal in that what Mom said carried the weight of Dad. Dad backed her up. When she said, “Dad will deal with you.” Our day was over! (We thought our life was over.) God created them male and female. God was and is wise in His way of doing things. Just think where we would be if He started with John and George instead of Adam and Eve. Mom was a female, and my sister identified with MOM. They wanted to be like her. They wanted nothing to do with “hair on the chest.” They played with dolls, and we played with army men. DIFFERENT! 2.) A MOTHER. She was everything to us but a Dad. She was the doctor when we were hurt, she was the mediator with Dad for us (which is why we are still alive), she was the one who made sure we had clean clothes, patched clothes, food in our bellies, warm coats on our backs, a clean room, she drove us to school and back, she loved gently, firmly. She was a teacher, a disciplinarian, a guide. She and Dad were together always, and never argued in front of us. Their disagreements were taken care of behind the bedroom doors, always! 3.) A WIFE. Mom was Dad’s wife. There were no others, nor should there be. Sin camps at the doors and the “grass just looks greener on the other side.” Sixty one years they were married. Perfect? No! In love? Yes! 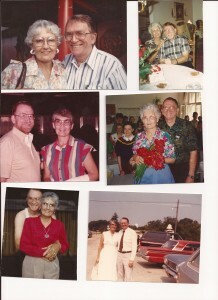 Mom and Dad have passed on now, and they are together again. Divorce is a problem. It is not unforgivable. The guilty (as I have always believed) don’t need to unscramble the egg as it were. People cannot be divorced too many times so as to be unreachable by the blood of Christ, as one preacher said to a three time divorced lady. Christians are not perfect either, but God’s grace and forgiveness is always available. God help us all to understand and reach out to the hurting. Command + Example = Image. It all begins at home. Teaching and setting the example needed by children to follow can pave the way to a good life. This puts a big responsibility on parents, and a tremendous joy as well.